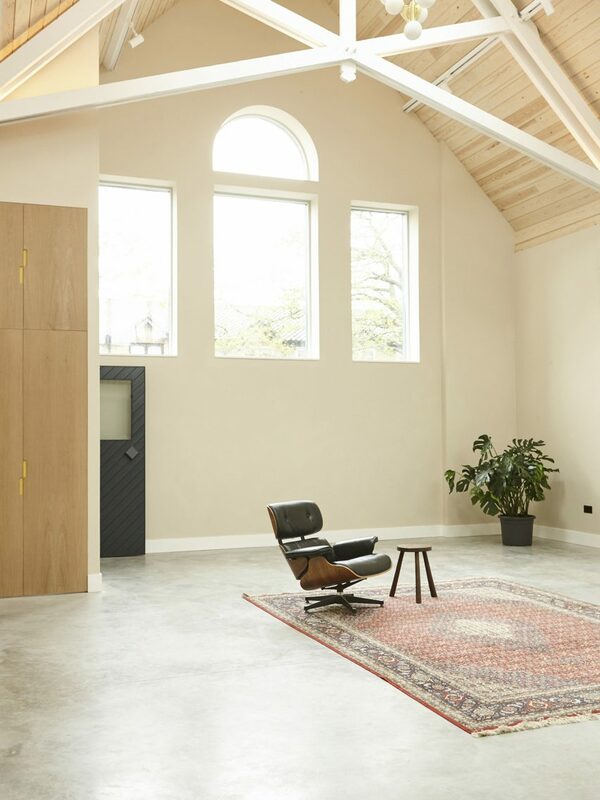 Nikjoo has transformed a former chapel in south London into a home and workspace for an artist featuring a pulpit-like mezzanine that overlooks the main living space. 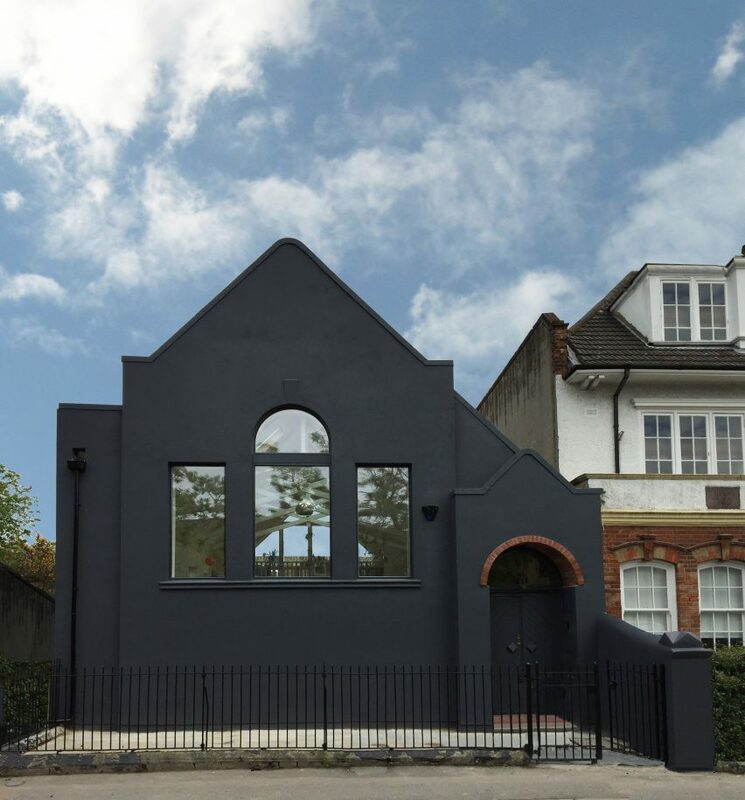 The neglected Victorian chapel in Deptford was being used as a temporary studio before Nikjoo’s client asked the architects to convert it into a contemporary space for living and working. The architects focused on preserving the layout and character of the existing building and retaining its original features including the exposed trusses that support the roof. “The building was stripped back to its original form revealing features and details that had been covered through years of piecemeal extensions and additions,” explained Alex Nikjoo, founder of Nikjoo. The house’s plan is largely based on the original configuration of the chapel, with the living and studio spaces occupying what was previously the nave. This large area with its high ceilings was left open to create a space that can be adapted to suite the changing needs of occupants over time. A space behind the former nave, which once housed the vestry, was completely rebuilt in order to accommodate a master suite, two guest bedrooms and a bathroom. 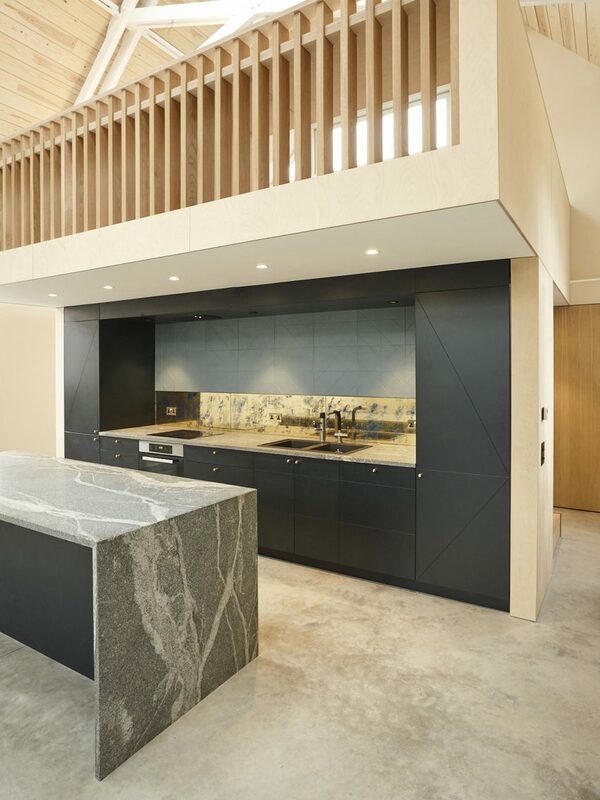 The focus of the main living space is a new cantilevered mezzanine structure that is built entirely from timber and sits above a kitchen facing the open-plan room. Behind the kitchen is a space for storage and services tucked underneath a staircase. 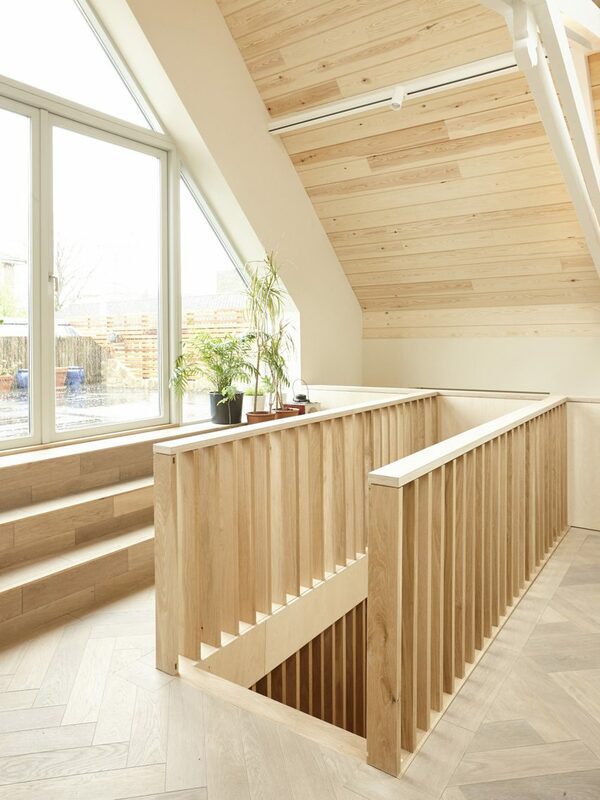 The stairs ascend to an office slotted in beneath the roof trusses. According to Nikjoo, the new structure “can be seen as a form of pulpit, a place to foster the owner’s life and work.” The elevated office is illuminated by skylights and looks down onto the living space. The mezzanine structure is wrapped in a skin of birch plywood that creates a sense of unity between its various functions. 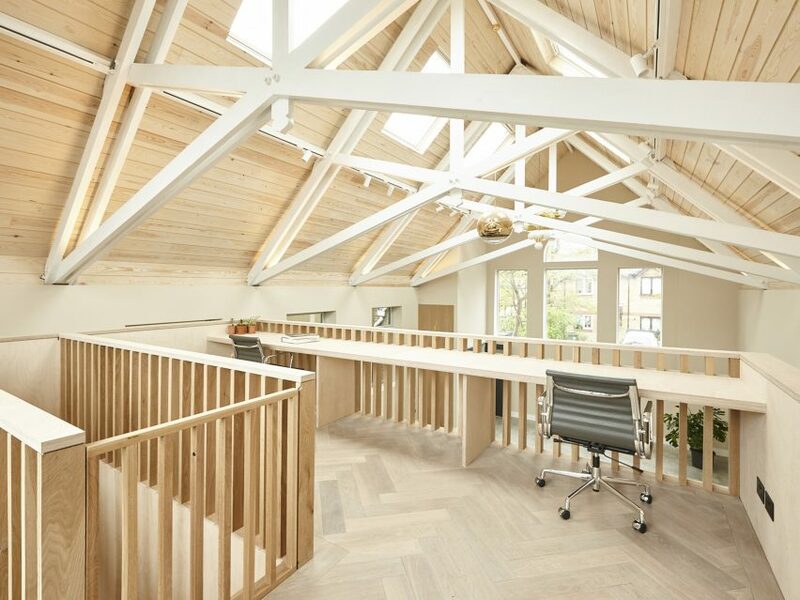 The office level is lined with oak fins that allow light to penetrate and maintain a visual connection between the spaces on different levels. To the rear of the mezzanine, an angular window contains a door that leads out onto an elevated terrace. The terrace receives sunlight throughout the day, which floods into the internal living areas through the large glazed surface. A material palette comprising oak, birch plywood, oiled pine and stone adds textural richness to the spaces whilst complementing the simplicity of the existing building. A polished-concrete floor provides a consistent element that unifies the interior spaces, while instances of bright colour such as the tiled entrance reflect the client’s creative lifestyle. Former chapels and churches around the world are being converted for new purposes. In Belgium Klaarchitectuur inserted an architecture studio into a dilapidated Belgian chapel, while a Victorian church in London was converted into a co-working space. Photography is courtesy of Nikjoo.